Welcome. The New England Sport LARPing scene has gone through yet another banner year of growth, with new games opening almost monthly and new campsites coming fully online to support the burgeoning community. Along with growth has come challenges; the 5th (or 6th?) NERO schism is in full swing, the faux-debate over ‘dark elf’ make-up is making the rounds of every game, ‘preferred player’ status is becoming rejoiced on social media, reciprocal player bans are moving forward, misogynistic game culture is finally breathing its last (and rightly so) and a number of offerings have struggled to get off the ground or stay running for more than an event of two. We’ll take a look into these topics in the coming weeks, but first – the calendar. Looking ahead into 2019 we are yet again going to set a record for new games starting up. As long as overall participant numbers continue to climb; the campsites are there and the number of available weekends is expanding because of it – there should be plenty of room for everyone under this big, odd tent. A new offering is always received well by the community. Because players like to get in on the ‘ground floor’ of a campaign – be it so they can experience the Lore straight from the beginning or not get left in the dust by the inevitable stat growth curve – any newly announced game should be able to get a minimum of 60 players for their first event (unless they are specifically looking for a smaller audience or running a super-niche genre – looking at you Dysphoic Mania – I still don’t know what the heck you’re about). Following up from there tends to be the challenge (the slow Saturday Afternoon of an event as compared to the sheer hype of a Friday Night) as getting that first event out the door is a culmination of hundreds of hours of labor and creativity and thousands of dollars in cost which can exhaust a staff that has not run together before. Despite this, more and more games are starting every year. This year, in particular, features a pile of new events, largely the result of the 6th NERO schism that condensed the number of “NERO” International chapters in New England from 5 (Ravenholt, Kaurath, Volta, Ashlynn, Fables) to just one. Here is what we know about so far in 2019. Invictus 2: Years of planning and LARP-theory-crafting have gone in to the formation of this game; most of which can be reviewed on the excellent LARPCast Podcast as it has been a frequent topic of conversation and comparison on almost every episode. Invcitus 2 is bringing a whole host of theoretical innovation to the LARPing community – things like PC run logistics and CP being the same for every player (and being raised as attendees of the Invictus 2 game NPC at other LARPs). Coventry: In spirit, if not in design, Coventry is Invictus 2’ ‘sister’ game stocked with a wide array of staff, both experienced and enthusiastic. Thought and discussion has already been put in wide-ranging topics, such as permanent death (solely based on player choice) and an ever increasing CP minimum to prevent too much power creep. 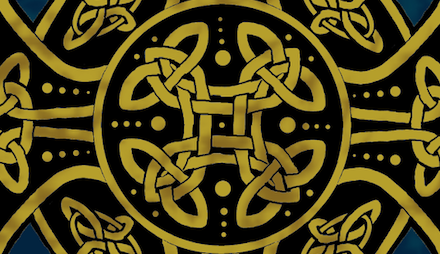 Thaumatrope: The latest from Witch Towers (After Dark, Ink, Clockwork Seas) is being run as single day events at the cherished Higgins Armory in Worcester and additional, non-traditional sites around New England. Verdwyn: Two words for ya’ – Tesla. Punk. We don’t know too much else right now, as the playtest is coming up, but it looks to have a unique style, attitude, and scientific background. Starfall: A fantastical Sci-Fi operatic, Starfall is the first game to be plot directed exclusively by women. The core of the Accelerant community is pulling together for this one shot (but…perhaps more?) that is likely to have the strongest writing of any game this spring. Goat LARP: From the Discordian mind of Dan Comstock (Hail Eris! ), the Goats (yes, actual Goats) are the PCs and the NPCs (everyone else) pay to show up at the Farm and run a LARP for them. Yes, this is happening. On one hand, it’s an amusing critique of all things in the Sport LARPing Community, with inside jokes and digs at numerous conventions of the hobby. On the other hand, you do get to spend a weekend with Goats, who, we are assured, have the ultimate in ‘player agency,’ because, you know, they’re Goats. Future Imperfect: the Mothership Project: the crew at FI aren’t taking any time off and have immediately embarked on their next game! The Isles: Homeland: After a brief hiatus, the Isles is back! 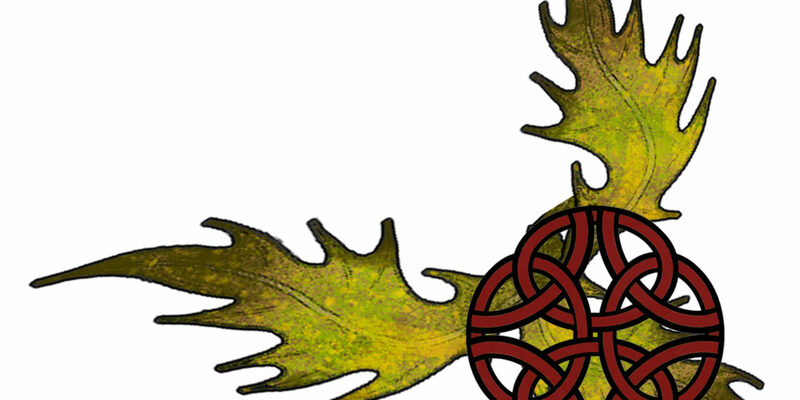 Known as the most accessible LARP in New England for many years running, Isles has always been known for offering engaging levels of participation to all their players regardless of any physical barriers. We’re really looking forward to seeing the Isles crew back in action! Bogeyman LARP: Fear and horror await at this one shot which plans to leap into action this Spring. Kaurath: Setting aside the “NERO” International rules and timeline with an epic finale this Fall, Kaurath has moved on to the Accelerant System and is re-tooling for a fresh step off this spring. One of the longer running games in the area, Kaurath continues to draw new and old players alike. Trouble at the LARP: A send up of all things LARP meets a horror movie. We…don’t really know much either, but the premise is intriguing. Alliance LARP New Hampshire: Picking up from Alliance Deadlands, ALNH is running at a rustic site in Claremont, NH. Fables of Fennora: Shadow of Maliask: Casting off the “NERO” International rule set, Fables, the long running epic from Epic Adventures LLC has embraced the Accelerant model and is moving on with their long winding tale – a great time to get involved in a storied game awaits. 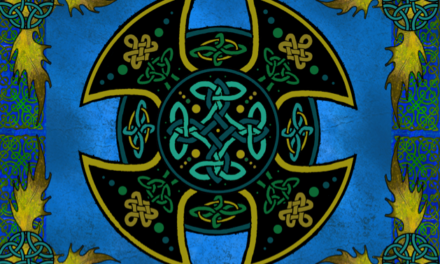 The New England LARP Expo: Sanctum World Simulations is putting forth their first New England LARP Expo in February of 2020 at the DCU Center in Worcester, which is a 40,000+ square foot venue – much larger than the VW Halls and even Hotel Ballrooms that have hosted similar events in past. A number of discounts are available, for early bird Sponsors, Merchants and Attendees and they have already announced panels and surprises by a number of community influencers such as LARPGirl and Ask a Brown Feminem . We wish them all the best. Future Imperfect: Successfully concluded their run and started anew, as noted above. Melting Point: More of a one-shot than anything else, this game may return in the future. Desponia: Part of the LARP Adventure Program, this limited run game seems to have concluded. Echoes of the Zone: The projected follow-up to After the Fall, we haven’t heard much from EZ in a few years. Dragoncrest: While the website is still active, DC has seen no live events that we could find in several seasons. “NERO” Hartford: As noted above, they successfully concluded their “NERO” timeline story and have moved onto Kaurath. “NERO” Volta: Fables ‘sister’ game in the “NERO” International system, Volta climaxed its main arcs several years ago and sought to re-tool itself with new ownership, but succumbed to the opening moves of the most recent Schism. “NERO” Fables of Fennora: Transitioned to Accelerant, as noted above. “NERO” Ashlynn: Another by-product of the 6th NERO schism, although Dave Cashel did absolutely everything right – he is likely one of the few heroes left in this melodrama. CRO: The Creative Role-playing Organization wrapped up their story line as planned this fall. We eagerly wait for that Zak has planned next – likely something with stilts! Angel Fall: After running one event the staff has decided to put the game on hiatus for the time being – we look forward to seeing them loop back on this as it featured a quite interesting world build. Heroic Realms: Running way the heck out in Litchfield, CT for several years, Heroic Realms vanished this past year, we think. Alliance NH, Deadlands: Deadlands wrapped up earlier this year (or was it late 2017?) and re-tooled itself into ALNH as noted above. Alliance CT, Calderia: Calderia, one of the longest running Alliance chapters, also ended in either late 2017 or early 2018. Carnivale of Stars: the Anarcats: Postponed for a bit, but a heck of a name! 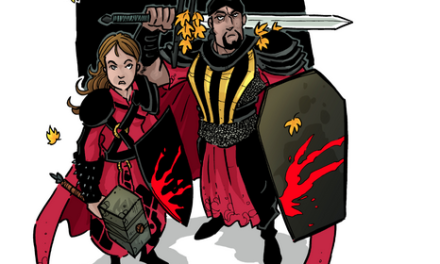 LARPCast: The LARPing Podcast run by Mickey Golosokover (Invictus/2) and Bill Tobin (something, something Ohio) made 119 episodes before wrapping up with their final episode this fall. Recommended for anyone interested in Hobby, LARPCast has a number of fantastic episodes (the interview with Rob Ciccolini should be required for any game runner) packed with theoretical and practical advice. The Nexus: A hobby store run by the owner of Sidereus, the Nexus faced several challenges with weather and their build out this year before finally closing shop this fall. They are slating a return at a new location even now. The Robin Hood Springtime Festival: Run by the owners of Mythical Journeys, this springtime Renaissance Faire featured a good recruiting portal for MJ and Myth – it will be a shame seeing it go. –Back the Empire in Flames campsite! 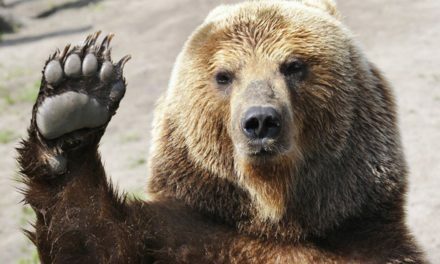 ($2,280/$150,000). –Fund LARPGirl: too many different options here to list (Patreon, etc.) Just go here. —Ye Old Commons: continues with their round of site improvements, tearing down and rebuilding some of their encounter spaces in the woods. There are 9 weekends in 2019 still available for rental, most in the early or late months of the year, but a prime spot just opened in the summer. —Eagle Pass: the second fully winterized site, has been hosting a wide selection of games. As of this current writing there are 13 open weekends, with some prime dates in the Spring/Summer still available. —Tolgy Woods: Chesterfield: Purchased by the Magestry owners (or some collection thereof), Tolgy Woods just began renting this year (previously it hosted games as the Chesterfield Scout Reservation) and is now the permanent home to the Market of the Moons summer Renaissance Festival. 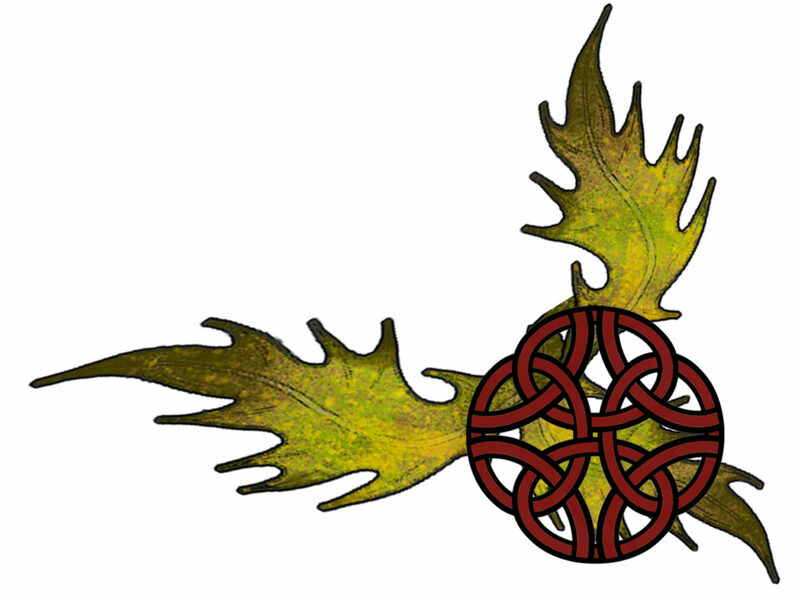 Boasting an impressive array of sites, cabins, and pricing options, Tolgy Woods is the perfect incubator sites for LARPs looking to get up on their feet or games looking for a fresh feel out in Western Mass. —MASI, the Keep: Having concluded a successful funding campaign to revitalize their stockade, the Keep in Jefferson is keeping the long tradition of Maine LARPing alive. —Burgundar: With an eclectic offering of games, from Parallax to Game of Thrones inspired weekends, the Burgundar site continues to expand their build-out on a monthly basis. A committee of new owners are now in place and a sizable selection of games are just coming out. —Chronicles: Tucked away in Holland, Ma, Joseph Blackwood continues to carve the Chronicles site out of rolling hills and farmland. While not yet renting to other games, the Chronicles site is one to keep an eye on as it is centrally located, and our pick to be an affordable player in the camp rental market in years to come, perhaps competing with Camp Denison. —Alliance NH in Claremont: Apparently, Alliance NH is running at…someone’s? Land? In Claremont, NH. They offer limited housing, unlimited tent space, and a common meal hall. Who knew! —Empire in Flames Site: Still in the funding stage, some land clearing seems to have been done. Consider donating as noted above. —Camp Sidereus: A site walk/woods walk video was posted, but there have been few updates since. However, there were many, many backing tiers to half a dozen funding campaigns over several years, so updates may be restricted to tiered backers only. With the continued expansion of the sheer number of games, we have failed to specifically mention any number of excellent endeavors, from Madrigal, the largest in New England, to Ebonrock, perhaps the most enthusiastic around, the Calendar encompasses all…even Realms, which we still can’t decide on which events to place on the Calendar (full weekends) to which not to (college campus free-for-alls). As always, game on – use proper pronouns, patronize the CT Ren Faire and Market of the Moons, read House of Leaves, watch Knight Fight and remember that Imagination is more important than anything, or rather, everything.